Australian summers can be bloody hot. This past one was of no exception. Soaring temperatures make it hard for little seeds and seedlings to cope. Lesson Learnt? Stunted growth and inability to simply give growing from seed a fair crack- it’s just too damn hot. Shade cloth. Yep, you need that stuff over summer. While I was eccstatic that I had more sun loving hours to play with for growth. Lesson Learnt? During the middle of a summer day, shade cloth was a must when the garden was so unestablished. Later on down the track I’m hoping there will be other plants to offer more shade for growing the smaller delicate stuff. Soldier Fly Larvae, all kinds of beneficial awesomeness in a small segmented critter type way. Lesson learnt? Certainly not the maggots you thought they were first up. *Compost, dead easy to set up and maintain. While there was certainly an initial juggle of ingredients as I hadn’t played with these kinds of bins before, there are now two going strong. Lesson learnt? For me composts which at this stage are a bit heavier on the nitrogen based ingredients, lime is definitely necessary. Critters. There will always be a battle with critters. Growing your plants from seed, nurturing those seedlings, planting with loving care, only to not pay attention to them for 24 hours and find them being turned into seedling latticing by overly confident caterpillars. That’s just bloody disappointing people. Lesson learnt? Caterpillars, they can be truly little stinkers. Soil. Ahhh, I get it, I totally get it. Why people can get so enthusiastic, animated and obsessive about the stuff. It’s so important, so incredibly important! Ongoing lessons, on getting the balance right for optimal growing. Soil was bought in and it simply just didn’t have enough good stuff in there despite the labelling. Lesson learnt? If you have diversity in your soil, you are going to have much better growing conditions. Aphids. Persistent little buggers aren’t they. I’m delighted to have a wonderful amount of ladybeetles in the garden. However no amount of beneficial garden bugs could hoover through these critters. Lesson learnt? Do something about them when you first notice them…sincere apologies cucumbers. 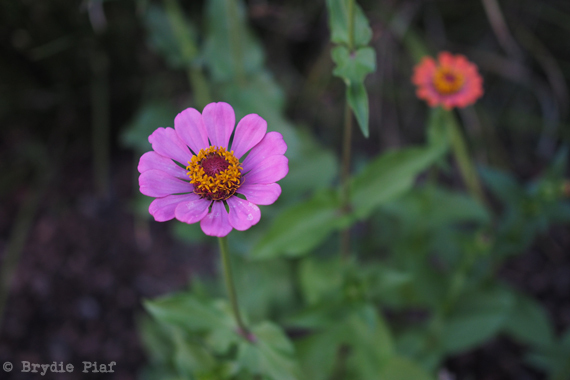 Zinnia. Incredibly easy to grow from seed, with seemingly very little effort. They have made a great barrier to protect more delicate growings, they bring in lots of happy pollinators, and are beautifully bright and colourful. Lesson learnt? 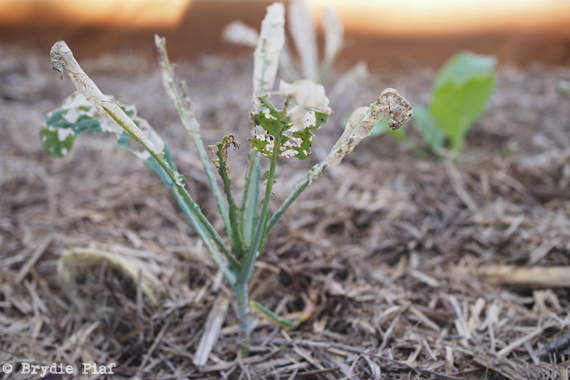 Come the slightly cooler weather and mould can set on the leaves if sown too close together. Tea, tastes rather excellent while wandering around your slowly establishing garden in the sweet autumn morning light, or alternatively that glass of wine in the late evening. Lessons learnt? By the end of the glass of wine, I’m less bothered by the aphids and this wandering around your garden? Yes, a person could get used to that, oh yes indeed. * I recently did another post all about becoming a compost geek over on the Milkwood if you are interested. Compost, it’s damn important stuff! 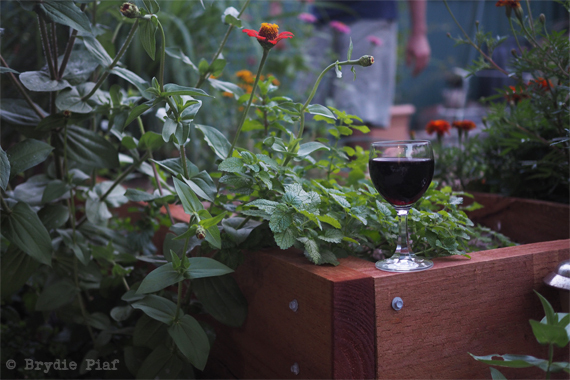 This entry was posted in Going Green and tagged city living, permaculture, soldier fly larvae, urban farming, zinnia by cityhippyfarmgirl. Bookmark the permalink. “By the end of the glass of wine, I’m less bothered by the aphids and this wandering around your garden?” My kind of girl! I’d like to share a glass of wine with you one day Rose! 10 great lessons to share. I feel part of a real community when I read these kinds of comments – caterpillars, aphids, heat all reall threats to my garden. 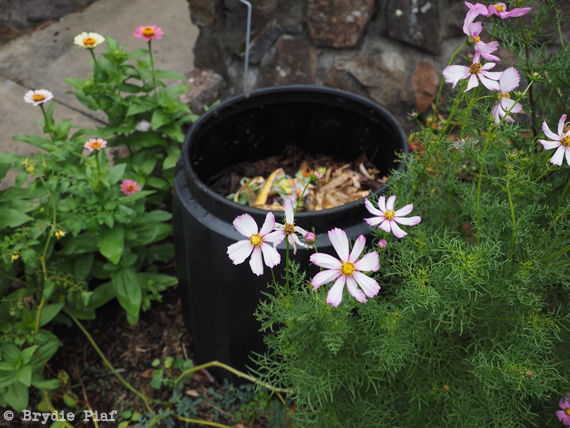 Compost, flowers and ladybugs – a great friends. Thanks for this lovely reminder gardening is a journey, and the critters are just part of it. Yuck, rats aren’t fun Beck. What sort of compost do you have? Bay system, barrel, tub? Tub put the bottom further into the soil beneath and wire mesh can be helpful, if it’s a bay system is too dry? I’ve flung a rat pitch forking compost before (by accident) rather surprising for both of us. Ooooh, more mellow eh? I like the sounds of that. Yep, there are definitely healing properties in this garden business. It’s funny how I look forward to that part of the day regardless of what’s going on. Here’s to our gardens I say Ms Narfy. Ha ha! I had a good giggle at a lot of this. The one thing I can highly recommend is a good solid garden umbrella stand buried in the ground (I had it buried in cement below the grounds surface) and it’s still there even though my trees are now big enough to create the shade and eco system I need. I could then take the umbrella out when I didn’t need it there. I would tie down the umbrella in four spots like a tent so it didn’t take off in the stronger winds. Every now and again, I’d check it to make sure it was stable as sometimes it would come loose but most of the time it was fine. I even used little rain umbrellas on the smaller delicate plants on the really hot days. I’m feeling really guilty as this year all my worms died (in the worm farm) … I normally open up the lid and do all the right things when it gets to those really hot days in Summer but sometimes it just gets too hot, for too many days in a row. I know where I went wrong but I was too preoccupied at the time … Guilty? Yes!!! I’m also finding that seedlings before it gets too hot is the best and then just when I think they’ve failed, the following year, they re-seed to my surprise. BONUS! I’m glad I could help Tamara! It works a treat!